Sell Your Memphis House! We buy houses, we solve problems! – Quick and easy! We buy houses. We solve problems! Quick and easy! We buy houses. We solve problems! Get relief from payments FAST! We Buy Houses, We Solve Problems! We specialize in buying houses from owners who need a different approach to selling their property. We take time to understand your situation and use a problem-solving approach to design a solution that best fits your needs. If your house needs repairs, we can buy it in "AS IS" condition so you won't have to spend lots of money and time fixing it. Have you fallen behind on your mortgage payments or property taxes and see no way of catching up? We have options to help you. Dealing with an inherited home or settling an estate can be a very emotional and stressful. We have personal experience working in these situations and can help ease some of the burden during this difficult time. Are you moving out-of-town for a new job or to be closer to family? We can buy or lease your home quickly so you won't have to worry about making double payments. Because we use private funds to buy, we can buy your house quickly and you won't have to worry about long bank approvals that may fall through at the last minute. These are just some of the situations we can help with. Contact us today and tell us your situation, we are here to help. Because we use private funds to buy, we can buy your house quickly, avoiding long and unreliable bank approvals. Also, unlike most buyers, we don’t need to sell another house before we can buy yours. And if your house needs work, we can buy it “AS IS” so you won’t have to worry about making repairs. Want to learn more? Please click on the button below and tell us more about your situation and we will contact you shortly. If you prefer, you can call our office at 901-273-0333. We are accredited with the Better Business Bureau and have an A+ rating. Sarah and Pedro helped me to move from being an unhappy, long-distance, landlord to a Seller with a smile a yard wide. In short, they creatively crafted a solution that satisfied all parties. I am indebted to them for their perseverance, flexibility and positive attitudes, and as both a demanding client and former Realtor, do not hesitate to recommend them to Landlords, Tenants and Property Investors in the Memphis area." Over a year ago, I faced a dilemma. I needed to move out of town, but could not sell my house without a huge loss. 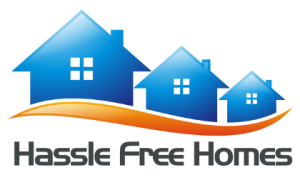 Hassle Free Homes had a plan that met my needs. Selling my home would have resulted in a huge financial loss, but working with Hassle Free Homes the rental income plus the tax deductions leave me with a profit instead of a loss. I recommend Hassle Free Homes to everyone." It has been a real pleasure working with Pedro and Sarah. During the entire process, they both made sure my wife and I had a full understanding of what was going on, and were completely comfortable, before moving on to the next step. We always felt (and still do) that they had our best interest at heart."